Ö. LKH Hochzirl – Natters Hospital Hochzirl 6170 Zirl Österreich www.tirol-kliniken.at HIROB has been developed with Prof. Dr. Leopold Saltuari and Dr. Andreas Mayr from the Department of Neurological acute treatment of LKH Hochzirl. In addition to the care of patients, the LKH Hochzirl focuses on scientific research in the field of movement control and movement (re-)learning in rehabilitation. Therefore a special field of research has been dedicated to Robotics in Neurorehabilitation. 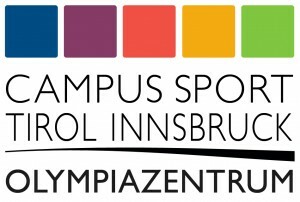 The CAMPUS SPORT TIROL INNSBRUCK – OLYMPIA CENTER supports high performance athletes and top talents on the road to excellence and medals. In order to provide eccentric training under maximum security aspects, intelligent motion developed in cooperation with A.O. Univ. – Prof. Dr. Christian Raschner and Carson Patterson MA the LIFTER. We are pleased to support the athletes in achieving their goals.